First of all, Seadream Yacht Club doesn't offer cruises. The company is pretty clear about that from the start. "It's yachting, not cruising," the Seadream Yacht Club declares on its site. And as the description of these excursions begin to build, it's clear there is a real difference. Maybe you've taken a cruise before. And there are some truly opulent options out there. But there is something inherently different about a more intimate engagement. And that's exactly what these trips specialize in. We've taken the liberty of finding out exactly what is so special about yachting in these boats. Keep reading to find out all the cool stuff we discovered. The Seadream Yacht Club dates back to just after the turn of the century. After setting up shop in August 2001, the world was introduced to a pair of wonderful ship. The two yachts were named the the Cunard's Sea Goddess I and II. Though they had already been sailing for nearly two decades, they both underwent major renovations. And they took on new names: the Seadream I and II. Atle Brynestad founded the Seadream Yacht Club. He already had experience as the founder of Seabourn Cruise Line 14 years earlier. At one point, he owned more shares of Royal Viking Line than any other shareholder. Aiming to set them apart from ordinary cruise ships, he envisioned an experience like that aboard a yacht. Since then, that mission statement has remained at the forefront of its business practices. Giving passengers all the trappings of luxury without any of the pretense, it really resonates. Corporate events, weddings, family trips and romantic getaways are common occurrences. And fans favor the one on one service and flexible schedule as two major benefits. We'll take a closer look at what has kept Seadream Yacht Club a cut above the typical cruise line. Where can you go with Seadream Yacht Club? Although Seadream Yacht Club has only two ships, they make the rounds with precision. 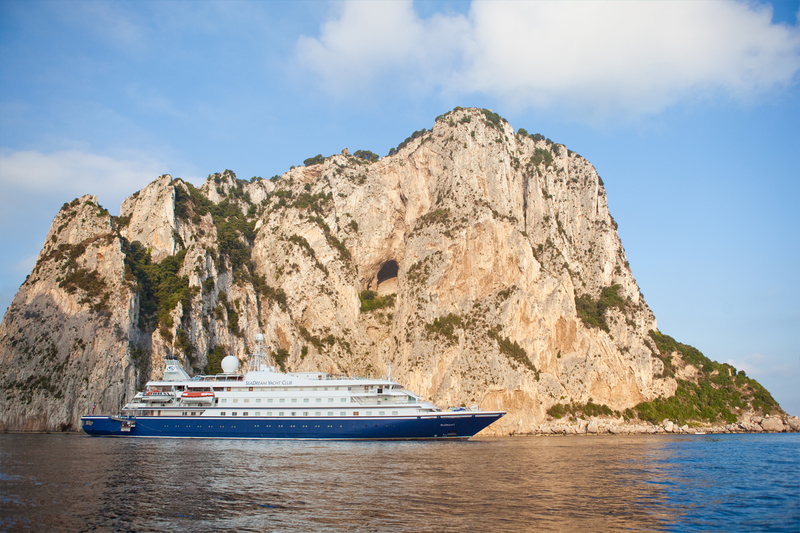 Schedules include Caribbean, transatlantic and Mediterranean routes. There are dozens of ways to configure your yacht. With the standard sailing dates, you can pick from many different ports. The small, nimble nature of the operation allows for plenty of flexibility. But if that's not enough, you can just charter your own experience. It is through this ultra luxury option that Seadream Yacht Club really shines. But no matter how you choose to experience it, you will immediately notice that this is no ordinary trip. If you want to take your cruises to the next level, consider the Seadream Yacht Club's options. You might not know what to expect from this company. If so, you're not alone. For many travelers, Seadream Yacht Club is a hidden gem. But once it's discovered, some fans say they'll never go back. It all starts with the accommodations. At the end of the day, this is not only your vacation spot but your hotel. So even if you love the amenities and service, cramped quarters can spoil the entire occasion. 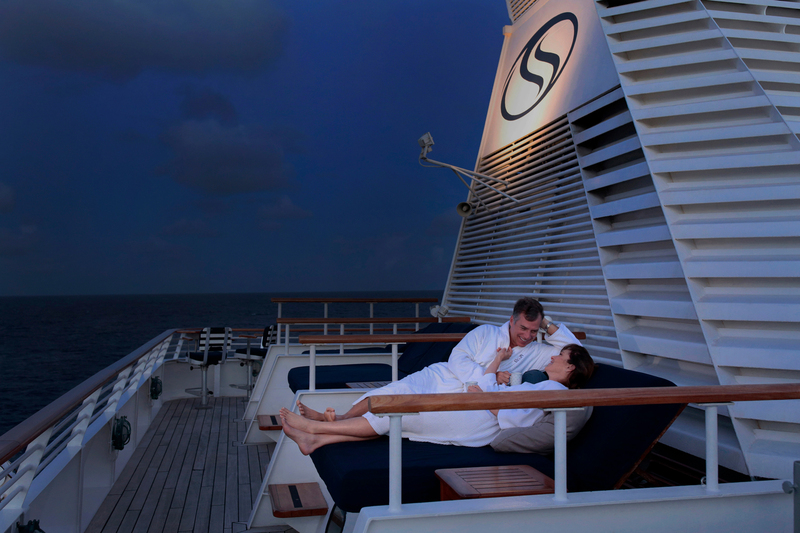 With room for just over 100 passengers, the Seadream I and II offer great accommodations. The very comfortable cabins can give you some peaceful sleep on the open seas. 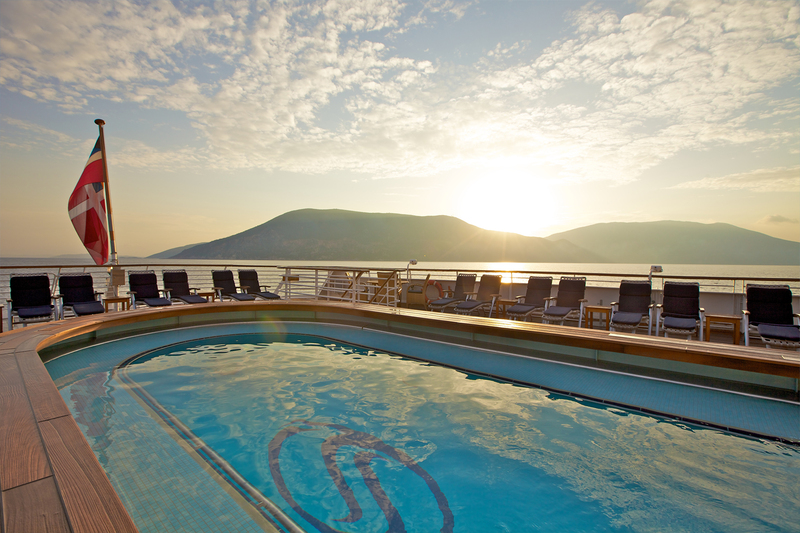 And that relaxation will come in handy during all of the activities planned on board and off. Even the small cabins have portholes to view outside. And the appointments inside the room are top notch. To enumerate, the luxury bedding, fixtures and amenities set the stage for a great stay aboard either ship. There are levels of luxury and service aboard the Seadream I and II. While private attention is standard, you can opt for more amenities. There are even options to dine under the stars, which is a frequent favorite. There are snug places under the moonlight and a bed big enough to fit eight occupants. Though there aren't private balconies, there is plenty of privacy. Both ships have an abundance of deck space, featuring some quiet, hidden spots. And giant two person showers are welcome additions in traditionally cramped quarters. If you need even more privacy and personal attention, just reserve an entire yacht to yourself. There are plenty of opportunities to charter one of these ships. In fact, reviews indicate Seadream Yacht Club prioritizes its charter passengers. So if you've got the desire and the means, this is a great option. You'll have one on one staff attention through the entire trip. And you can determine the specifications. Those working on board will serve to create a casual, classy environment as long as you're there. What's a cruise without lots of food? Oh, that's right, Seadream Yacht Club does not offer cruises. That's probably why these ships provide dining on a different level than the standard ship, too. Call on staff if you want room service or dining at just about any time. 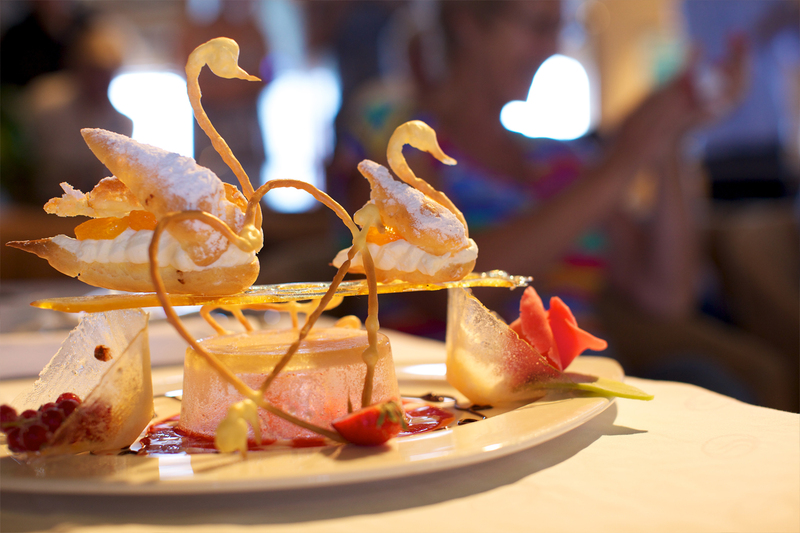 Expert chefs on board serve some of the most succulent dishes you've ever had on the sea. And it can be yours anytime the mood strikes. You might be used to the pizza buffets on the traditional cruise ship. 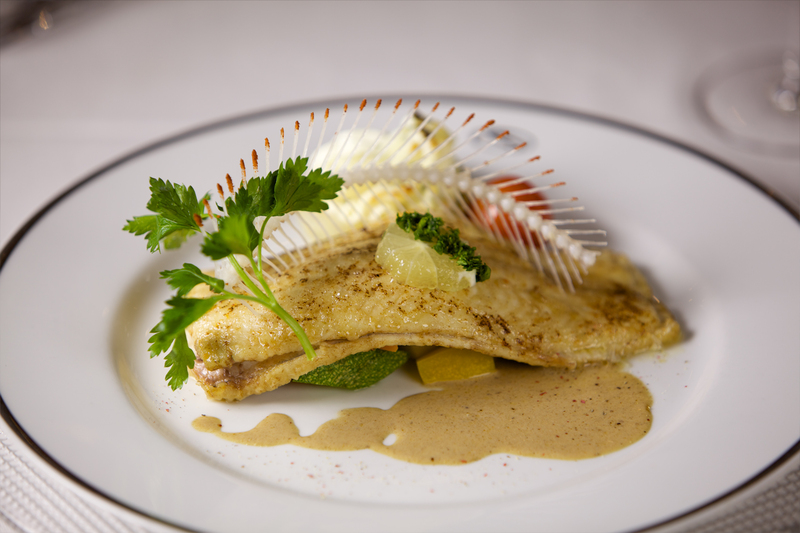 But on a Seadream Yacht Club vacation, you can expect some of the best meals around. There are several options aboard either ship to grab a bite or sit down for an elegant dinner. In general, the ships have a fairly casual dress code. You'll see folks get dressed up for special dinners, but a suit and tie are not mandatory. 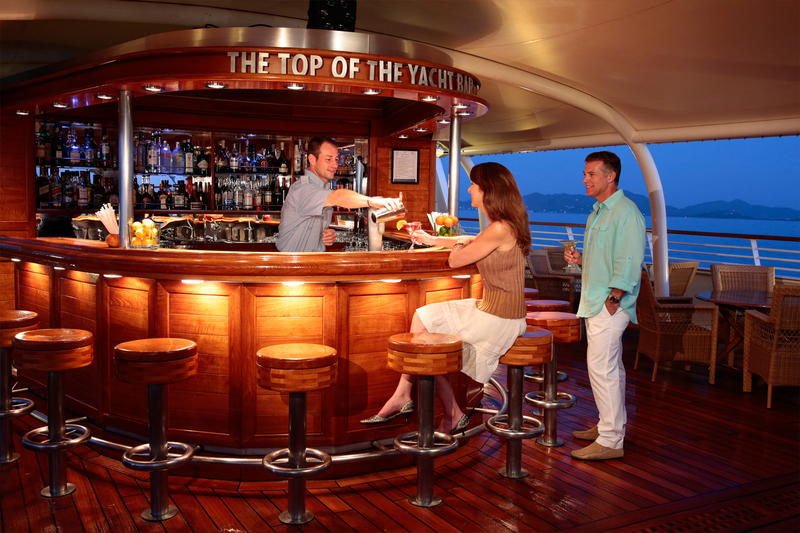 Get comfortable on a stool at the outdoor bar or order from a fine dining establishment on the ship. Either way, you'll get first rate combination of hospitality and flavor. Want to grab a quick lunch out on the deck? Just let the staff know. 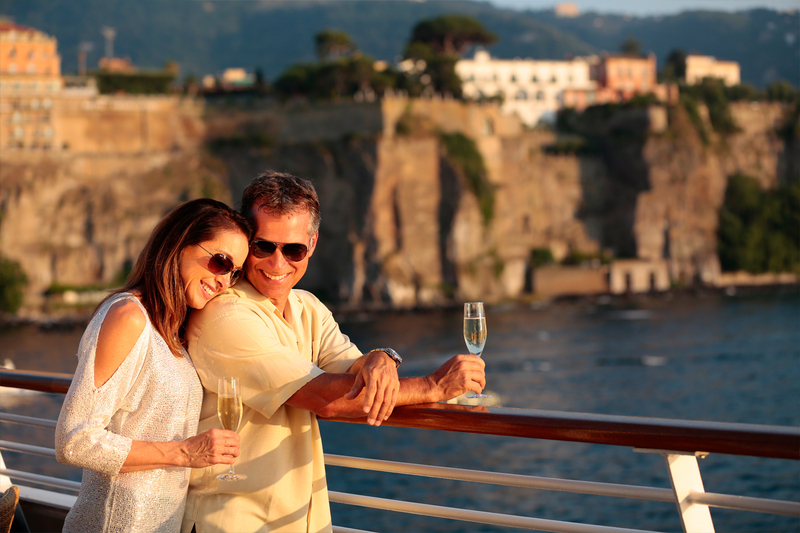 And with any luxury cruise -- we mean yacht -- vacation, the stops are equally important. Find new local cuisine wherever your trip docks. You might just get back on board having discovered your new favorite dish. 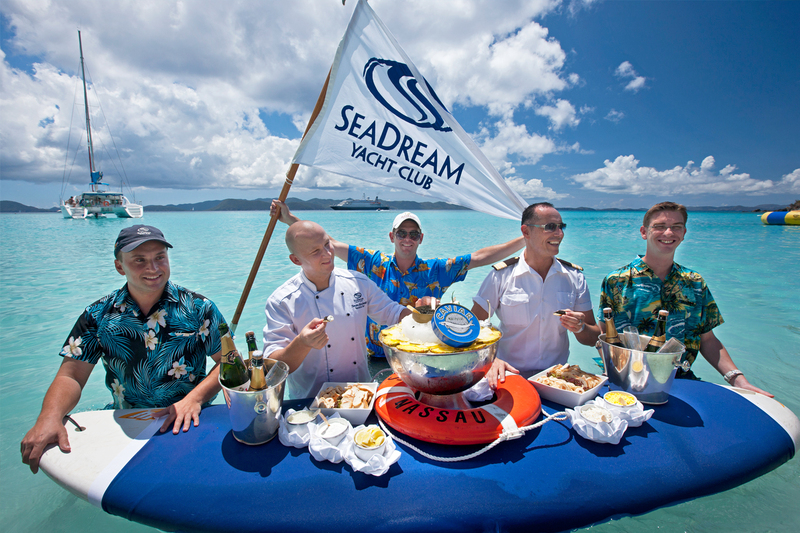 Finally, the Seadream Yacht Club experience hinges on service and hospitality. Even more than on a traditional cruise, you can expect personalized treatment throughout. And the amenities are all first class featured built with luxury travel in mind. The pool aboard both ships is beautiful. There are several ways to get wet while you're at sea. But taking a dip in the swimming pool is a surefire way to refresh yourself. A Jacuzzi and steam room are among the other options. If you need a little more help relaxing, though, don't worry. There is a Thai certified spa on board, too. It's one of the few services not included in the price of your trip. If you find that you need the services, though, it will be good to know they are there. Whether you want to continue bulking up or just clear your head, the gym offerings have you covered. There is a fully equipped fitness center on the fourth floor. And there is plenty you can do to keep active. First of all, you can get a cardiovascular exercise on the treadmills or recumbent bikes. While you're working up a sweat, enjoy the view of the waters right outside. Then move to the free weights if you choose. 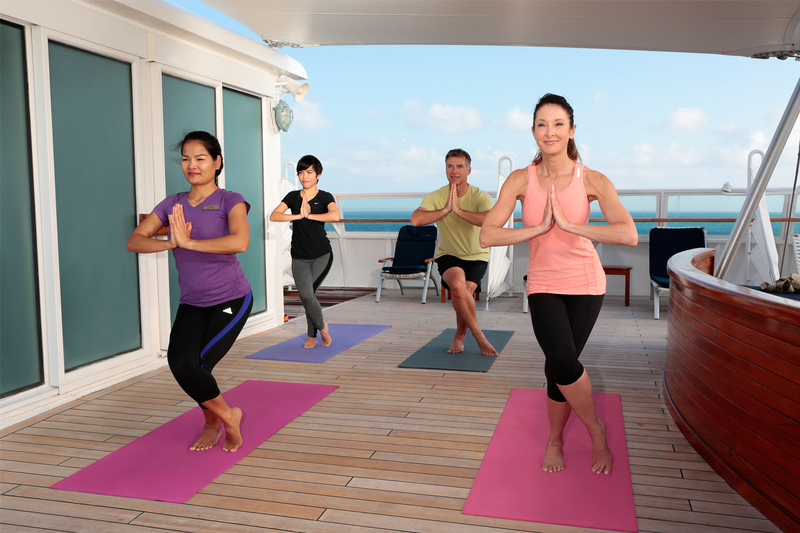 Or sign up for one of the yoga or tai chi classes taught on board every day. We might have saved the best for last in discussing the obvious benefit of Seadream Yacht Club. Especially if you charter a ship, you have personal attention on a scale unimaginable on most cruises. Even if you're just aboard for a typical tour, the staff is ready to meet your every desire. Such a small scale, intimate environment leads to familiarity with staff and crew. That also translates into some of the best service on the planet. It's clear that Seadream Yacht Club is committed to emphasizing its differences from cruise lines. For plenty of passengers, that is a great thing. But there are a few trade-offs. Among the most common is that regular travelers can be at the mercy of charters. If a group charters a ship, for instance, you could have your planned trip cancelled. It's not extremely likely, but it is a possibility. And then, with only two ships, there is the obvious issue of finding a convenient place and time. But if you can live with those two potential shortcomings, Seadream Yacht Club has a lot to offer. As you can tell, plenty of travelers have rave reviews about the Seadream Yacht Club. And whether you're hoping to charter a boat or just take part in a planned departure, it's an experience. 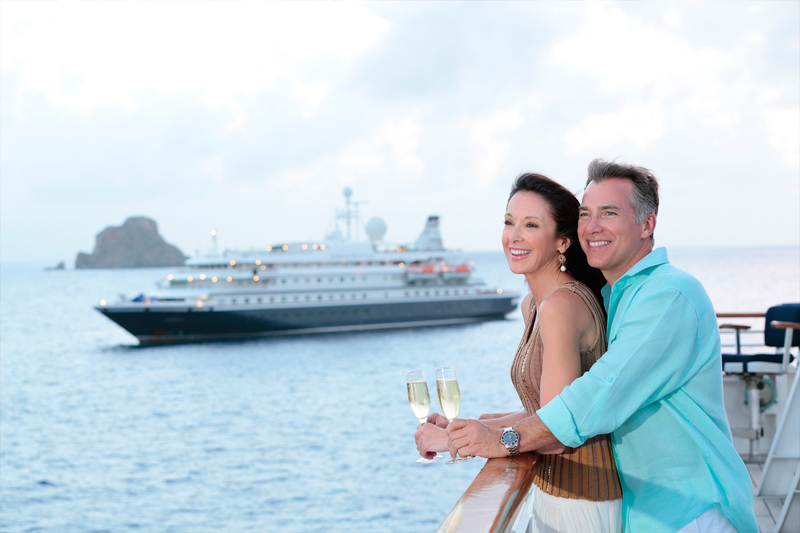 We think Seadream Yacht Clubs is a great option for seafaring vacationers. But if you're looking for something a little different, here are three of our favorite alternatives. If you are all about the destination, Oceania might be the cruise line for you. It is more of a traditional cruising experience. And there are many level of luxury so you can find the perfect getaway. Oceania operates a fleet of cruise ships and offers several unique excursions. It is also aimed at upscale passengers and offers the highest quality in its accommodations. Regent Seven Seas Cruises will take you to an array of beautiful locations. But it really shines with the level of service and amenities on board. Everything is included in the price of your trip. And by everything, we mean a lot. These trips are geared toward pleasing the most discerning travelers. If you must have the best at every turn, this cruise line will probably hit the mark. Another unique twist on the typical cruise is a trip along one of the world's beautiful rivers. And few if any other company does that better than Uniworld River Cruises. Pick a location from around the world and set off on a terrific escape. The boats themselves play a big part on these trips. And the world class amenities, food and service make it a trip you won't soon forget. Seadream Yacht Club gives passengers an added level of luxury on the open waters. If so, share our article with the world travelers in your life. And leave a message in the comments below with your thoughts and questions.